Average CO2 emissions for new vans registered in the EU fell 4.7% in 2017, latest figures from the European Environment Agency (EEA) show. The preliminary data finds that the average van registered in the EU in 2017 emitted 156.9g/km, down 7.7g/km on 2016 and bringing the average 10.9% below the 2017 target of 175g/km. However, a further improvement of 6% is needed to reach the EU’s more stringent target of 147g/km set for 2020. The fall marks the highest annual reduction reported since the implementation of the 2011 regulation requiring Member States to record information for each new van registered in its territory. 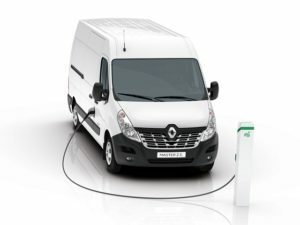 The reduction would have been driven in part by rising registrations of electric and plug-in hybrid vans, which rose by 32% in 2017, compared with previous year, representing 0.8% of the total EU van sales. However, diesel vehicles continue to make up the vast majority of the new van fleet, constituting 96% of sales. The average fuel efficiency of new vans varied widely across Member States due to the different models and sizes of vehicles sold in each country. As last year, average emissions were lowest in Portugal (133.2g/km), Cyprus (133.4g/km) and Bulgaria (134.9g/km) and highest in the Czech Republic (173.6g/km), Slovakia (170.1g/km) and Germany (169.2g/km). The average weight of new vans sold in 2017 also varied across countries. Smaller vehicles were sold in Malta, Cyprus and Portugal (< 1,570 kg); larger vehicles (>1,950 kg) in Slovakia, Czech Republic and Finland. Final data is due in the autumn when the European Commission will also announce whether different manufacturers have met their own specific annual target for 2017, based on the average weight of the vans they sold.